My primary purpose is to help my clients pursue their real estate interests and to make their lives easier during the process. 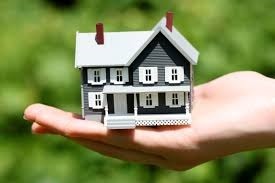 Buying and selling real estate are among the largest and most important decisions you will ever make. You deserve to be guided through this process by an experienced real estate professional that you can trust and who works towards your best interests. I am a lifelong resident of the Ocean City area, which enables me to provide unique insight to my clients that few other Ocean City Realtors can offer. Having lived and owned properties in all of the areas that make up the Ocean City real estate market, I have a clear understanding of the unique nuances and benefits that each community offers. This local insight coupled with my market experience, resources, knowledge and service ensure you have a first class experience buying or selling real estate. The results speak for themselves as evidenced by my proven track record and testimonials from those I have assisted with the purchase or sale of real estate in Ocean City and the surrounding areas. After a successful 14 year individual career in Ocean City real estate I founded and am the managing partner of the Coastal Life Realty Group, Ocean City’s premier real estate brokerage. In working with the Coastal Life Realty Group and myself you will benefit from our collective experience. You will receive support from our entire team of real estate professionals and administrative staff that are knowledgeable of the market and experienced in all types of real estate transactions. All agents and staff of the Coastal Life Realty Group work together to help our clients accomplish their real estate goals. Owning a second home or living at the beach provides great enrichment to one’s life. This is the reason that I am a lifelong resident of the Ocean City area. I get a lot of satisfaction out of helping others attain this same quality of life that I am fortunate to enjoy here everyday at the beach. In my free time I spend as much time as possible with my wife Jennifer, our daughter Madelyn and our bullmastiff Kainoa. I am an avid golfer, surfer and sports fan. I generally just like to enjoy life and the many great opportunities that is affords.